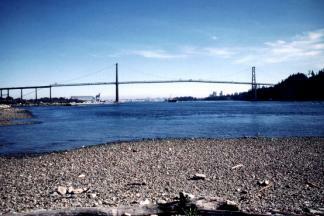 Highway suspension bridge (472 m main span) across the First Narrows; designed by P.L. Pratley, construction supervised by W.G. Swan (1936-1938), and documented by S.R. Banks.